The International Space Station (ISS) has taken millions of images of Earth. About 30% of those images were taken at night. 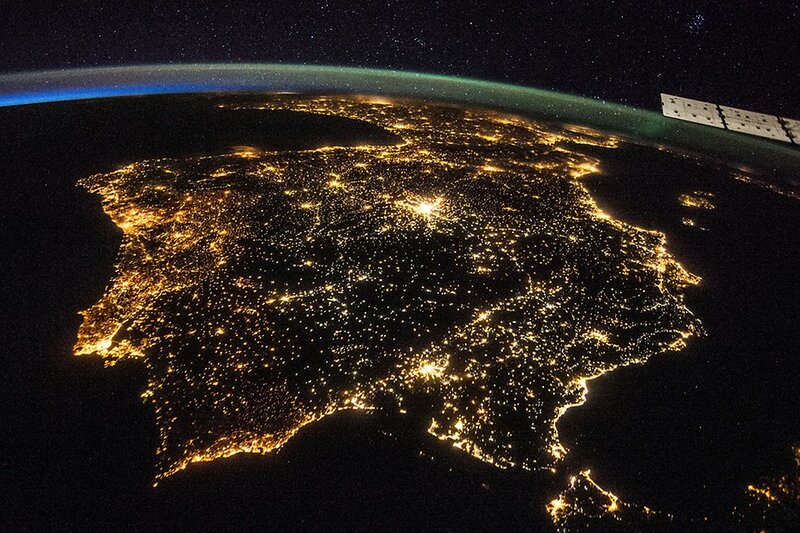 These photograph are the highest-resolution night imagery available from orbit. For technical reasons, we don’t precisely know what the camera was pointing at when taking the images. However, if we knew exactly what these images were showing (stars, cities, auroras, etc. ), we could use this wealth of information to address issues such as night pollution, population movement, energy usage, etc. Until recently, it has been thought that algorithms cannot distinguish between stars, cities, and other objects. This challenge tries to prove otherwise. Thousands of volunteers have hand-labeled tens of thousands of images as part of a citizen science project. The goal of this challenge is to build on this manually evaluated data set, and develop an image classification algorithm that can correctly identify whether an image shows stars, cities, or other objects. The challenge entries may be made using any of the frameworks listed below. Selected entries will be tested using the linked Docker containers, which are the standard development environments for the challenge. **Caffe** : https://hub.docker.com/r/tleyden5iwx/caffe-gpu-master/ **Tensorflow** : https://hub.docker.com/r/tensorflow/tensorflow/ **Torch7** : https://hub.docker.com/r/kaixhin/cuda-torch/ **Scikit-Learn** :(Python-2): https://github.com/dataquestio/ds-containers/tree/master/python2 **Scikit-Learn** : (Python-3): https://github.com/dataquestio/ds-containers/tree/master/python3 **Octave** : https://hub.docker.com/r/schickling/octave/ **Keras** : https://hub.docker.com/r/patdiscvrd/keras/~/dockerfile/ You can submit a question in the [forum](https://www.crowdai.org/challenges/2/topics) should you need help with any of these containers or frameworks. We are here to help you learn!